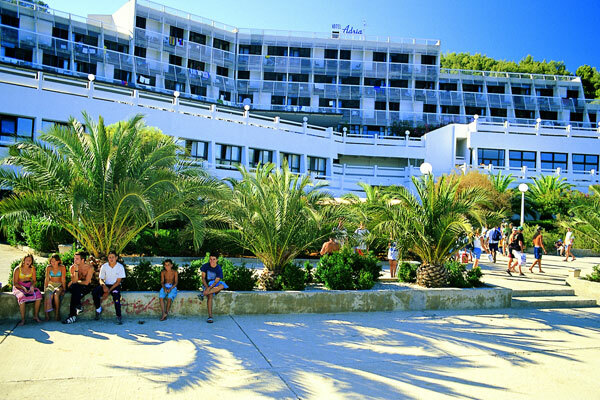 Situated in a peaceful bay, not far away from the centre of Vela Luka, the all inclusive Adria hotel is an ideal retreat for every guest. Beautiful pebble beach, clear azure sea, the scent of pines and a surrounding veil of Mediterranean vegetation along with the abundance of sunny weather create an oasis of tranquillity and relaxation. 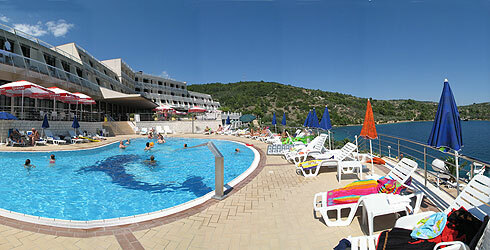 The hotel has 127 cosy and air-conditioned rooms, most with a balcony, and with an inspiring sea or park view. All accommodation units are equipped with satellite TV, telephone, bathroom and hair dryer. The newly renovated restaurant provides a relaxing dining atmosphere and a wide range of buffet meals for breakfast, lunch and dinner, while afternoons are flavoured by light snacks and beverages during coffee time. Selection of drinks in the hotel bar is also a part of all inclusive service. There is a large variety of activities at guests' disposal to fully enjoy their vacation. Swimming in the outdoor pool, lounging on sun beds or enjoying refreshing drinks at the spacious terrace is a sure recipe for relaxation, while sports enthusiasts can engage in tennis or beach volleyball matches. For the youngest guests, a separate pool and playground are provided, so they can enjoy their activities carefreely. 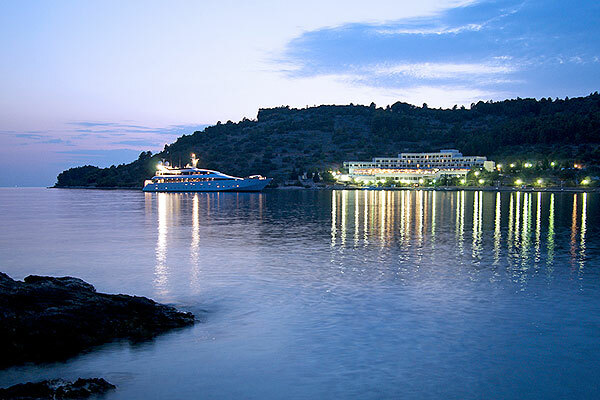 The town centre is just a pleasant stroll away (2.5 km along the coastline), and there are regular taxi boat lines, which enables sightseeing of Vela Luka's most prominent landmarks such as 19th century fortress, famous archaeological site Vela spila and captivating mosaics the town is known for. At the end of the day, the moon lit sky, fresh summer breeze and inviting live music transform our terrace into an ideal setting for dancing the night away. 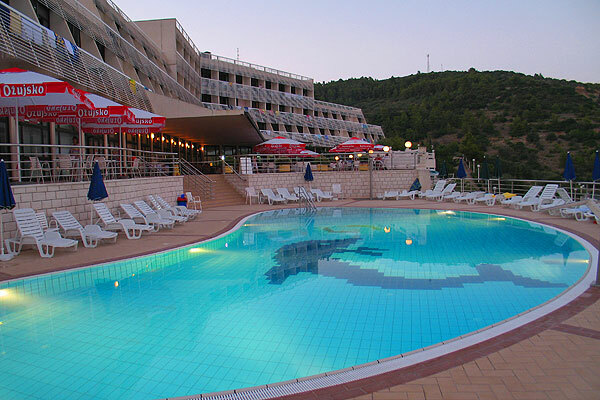 Due to its unique combination of secluded location, beautiful surrounding and various activities, the Adria hotel is a perfect choice for everyone wanting to escape the hectic city crowds and relax completely. And the hotel's friendly staff is here to assist the guests in every way they can.